Join hands to make a difference in the lives of severely impoverished villagers and have the experience of a lifetime working with world-class physician and non-physician professionals and allied staff. 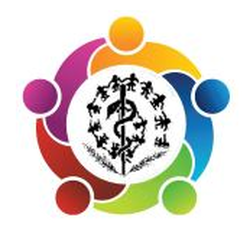 With an ever-increasing patient load, and the provision of all levels of clinical services, public health, and even sponsorship of agricultural development, the medical staff of JSS is severely overtaxed and short-staffed in clinical, research, public health initiatives and supporting speciality roles. The hope is that volunteers may be found to come to Ganiyari for periods ranging from three months to two years. Each can make an enormous difference in the lives of severely impoverished villagers and gain an experience of a lifetime working with world-class physicians and non-physician professionals and allied staff. Support can come in many forms. From contributing your time and skills to offering financial donations, you can choose to contribute toward subsidizing patient health care, supporting our infrastructural needs, training local staff, or increasing our research and technology. Our work need your committed support, as an individual or as an organization.